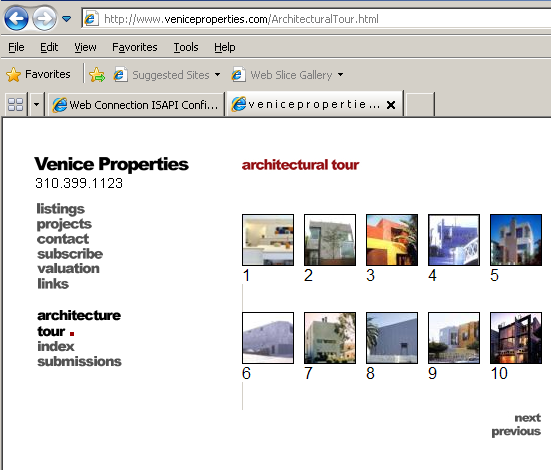 Below are a few samples of the screens from the Venice Properties portal. 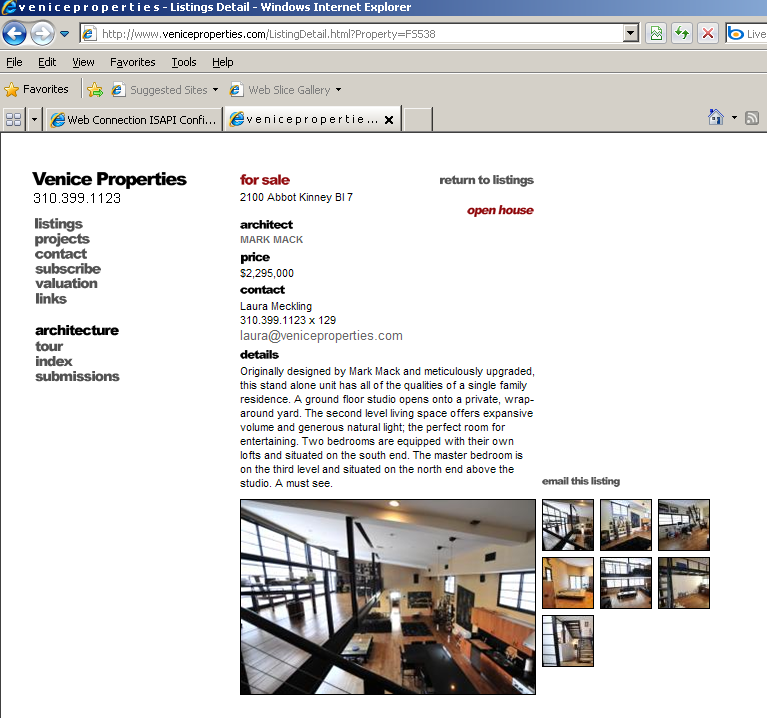 The site included a public Internet presents where individuals interested in leasing or purchasing real-estate within the Venice, California area could locate listings. The site included an architectural tour with descriptions of the some of the most famous buildings in Los Angeles. 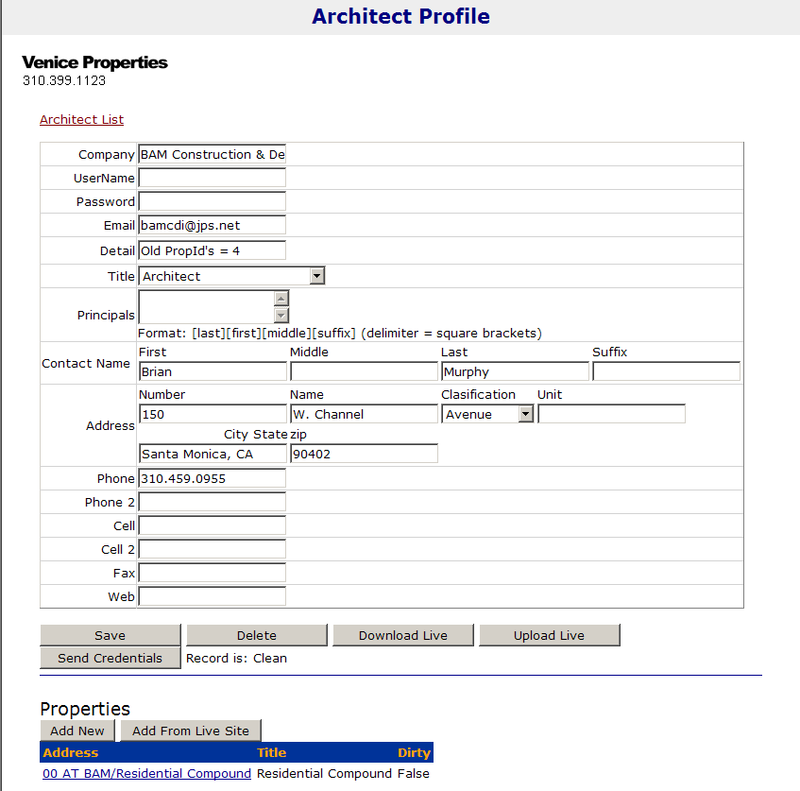 All of the content (property details) of the site was stored in a database which was accessed through a back-office collection of data entry forms. 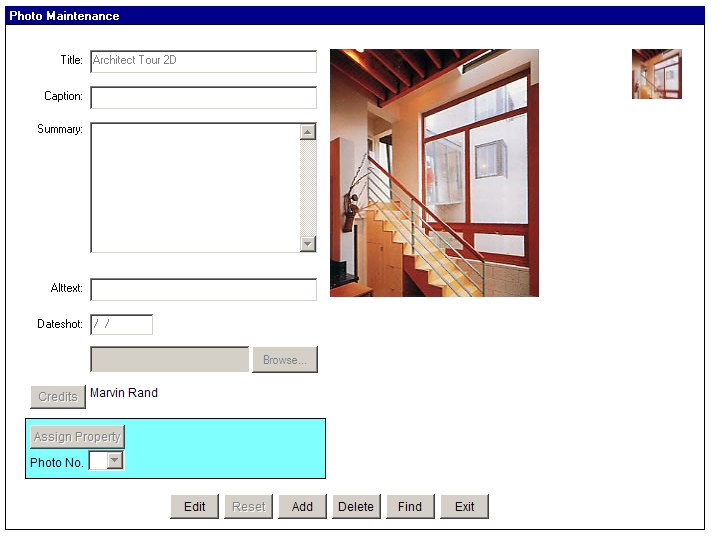 This design allow the real-estate agenta and brokers to access the system through a defined set of rules which enforced the clean appearance of the public presents. 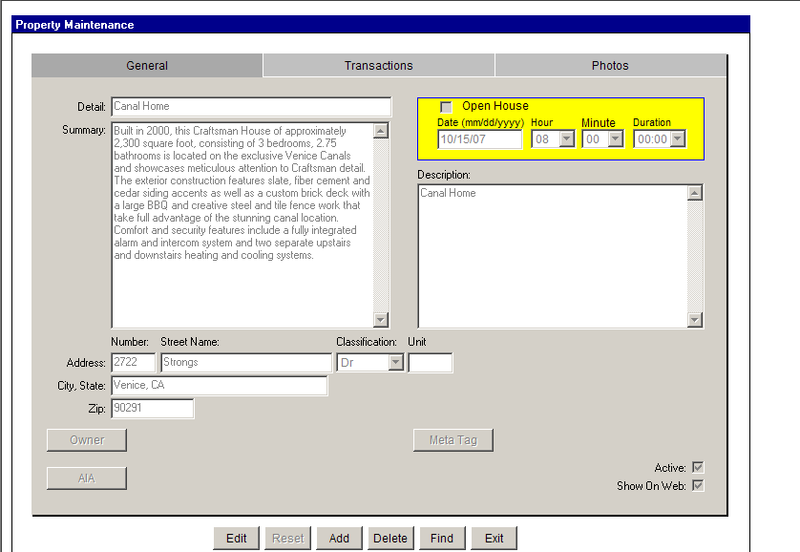 In additional to the architectural tour entry forms, the back-office forms included extensive information about every property in the system. Below are screen shots of a few of these pages. Although Venice Properties is not currently engaged in business, Jack Hoffmann, the founder of the company was able to sucessfully manage his business for over ten years through this site. 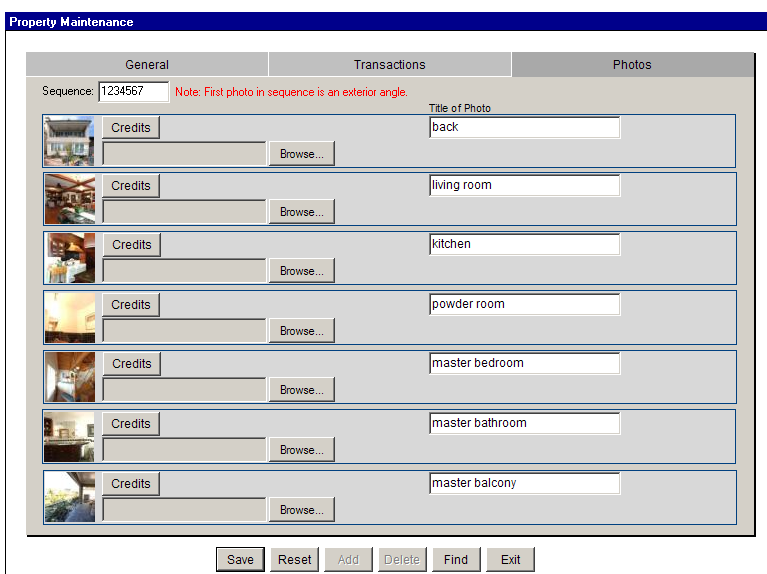 I enjoied building this application and will carry what I learned in the process for the rest of my life - thank you Jack.